Keynote Presenter Neri Oxman. Photo credit: Noah Kalina. 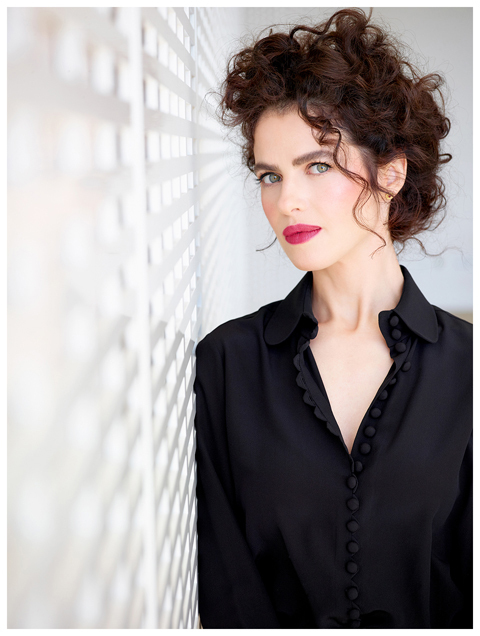 Keynote Neri Oxman of Sony Corporation and MIT Media Lab will share her perspective in a fascinating keynote presentation at LIGHTFAIR® International 2018. She is an award-winning designer whose work combines art and science. Her work reveals a future with the intersection of technology and nature. LIGHTFAIR takes place in Chicago at McCormick Place May 6-10, 2018 (Pre-Conference LIGHTFAIR Institute®: May 6-7; Trade Show & Conference: May 8-10) and registration opens on February 6. Architect, designer, and inventor Oxman is the Sony Corporation Career Development Professor. She is also the Associate Professor of Media Arts and Sciences at the MIT Media Lab. At MIT, she founded and currently directs the Mediated Matter design research group. She was on ICON’s list of the top 20 most influential architects to shape our future and the Fast Company list of the 100 most creative people. SEED magazine called her a “Revolutionary Mind” and she was a part of Esquire’s Best and Brightest. In 2012, the Centre Georges Pompidou Museum (Paris, France) acquired her works for its permanent collection. Additional permanent collections include SFMOMA, the Cooper Hewitt Smithsonian Design Museum (NYC), the Smithsonian Institute (Washington, DC), Museum of Fine Arts (Boston, MA), Museum of Science (Boston, MA) and FRAC Collection (Orleans, France). Oxman’s work is a part of prestigious private collections, and she has received many awards including the 40 Under 40 Building Design + Construction Award, Graham Foundation Carter Manny Award, International Earth Award for Future-Crucial Design and METROPOLIS Next Generation Award. Visit LIGHTFAIR.COM/conference/keynotes for additional information about the LIGHTFAIR International 2018 Keynotes and Impact Speakers.